Tickets are available online or may be acquired outdide the lecture hall beginning at 7pm. Michael Lundgren spent his formative years roaming the woods and fields of upstate New York, receiving his BFA from the Rochester Institute of Technology. Pulled by the vast Western landscape, he moved to Phoenix, Arizona where he earned an MFA in studio art from Arizona State University. He continues to live and work in the West. As an artist, Lundgren draws on a deep current in photographic tradition that takes the natural world as a seat of transcendence. Lundgren works collaboratively with artists, scientists and writers on historically and socially engaged bodies of work, but his true passion is the poetic potential of the medium. His first monograph, Transfigurations (2008) is an evolution of the modernist search for form within a primitive landscape. Award-winning publisher Radius Books has just released Lundgren’s second monograph, Matter. Edited from nine years of picture making, Matter is a tightly woven sequence conjuring an element of the supernatural across multiple terrains. Carrying a metaphoric visual trope throughout­—an enveloping form—the photographs depart from the confines of the descriptive landscape. Lundgren was recently named a 2017 Guggenheim Fellow and is currently working towards a new body of work. Lundgren’s work resides in the esteemed collections of the Victoria & Albert Museum, London; the Museum of Photographic Arts, San Diego; the Fralin Museum, Charlottesville; Brandts Museum of Photographic Art, Denmark; among others. Lundgren has exhibited in contemporary art galleries and museums including ClampArt and Bruce Silverstein galleries in New York; the Legion of Honor, San Francisco; the Fralin Museum; Tokyo Photo; Paris Photo; and the Victoria & Albert Museum. Most recently his work was included in exhibitions such as Out of Obscurity, Flowers Gallery, London, Defying Darkness, MOPA, San Diego and Where There’s Smoke at Fraenkel Gallery, San Francisco. 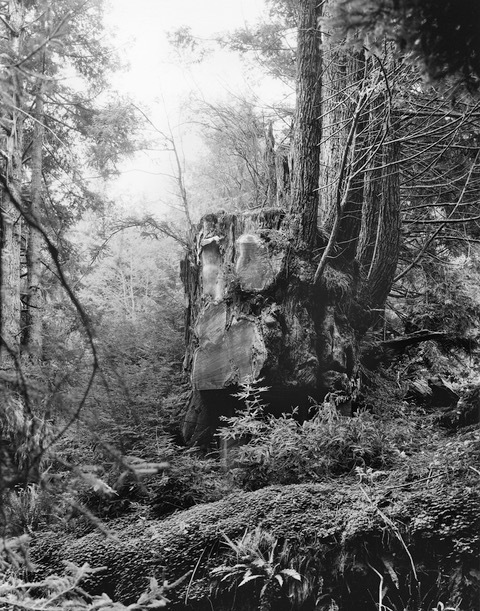 As we trudged through old-growth redwood forests, under the weight of an 8x10 camera, tripod, and film holders, we imagined Carleton Watkins and Eadweard Muybridge, master photographers of the late nineteenth century. We had chosen to maintain continuity with our forebears by making our own photographs in traditional black-and-white format. Today less than five percent of old-growth redwood forest remains in the Northern Hemisphere, most living in the Redwood National and State Parks. Yet even the protected trees of the parks are subject to threat. Burl wood-grain is prized on the black market for its exquisite rarity. 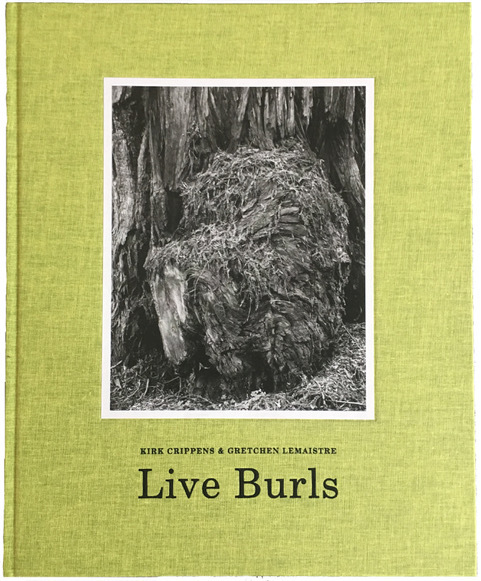 Poachers sometimes harvest the burls for consumer profit. 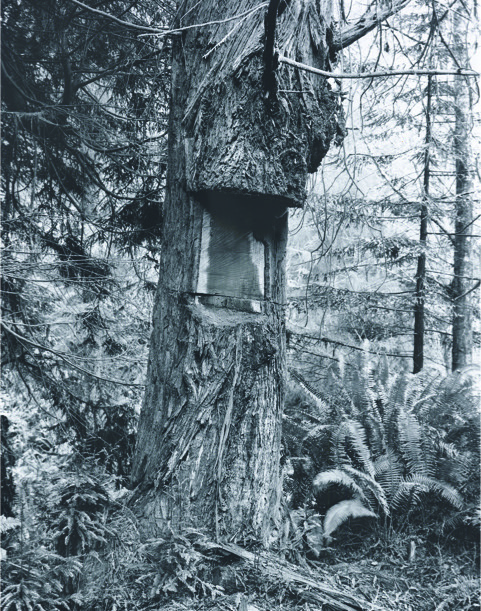 In 2013 an alarming number of trees in the Redwood National and State Parks were targeted by poachers with chainsaws. One team of thieves was bold enough to fell an entire tree for its burl. Sadly, they jettisoned the 500- pound burl by the side of the road when it proved too heavy for their vehicle. 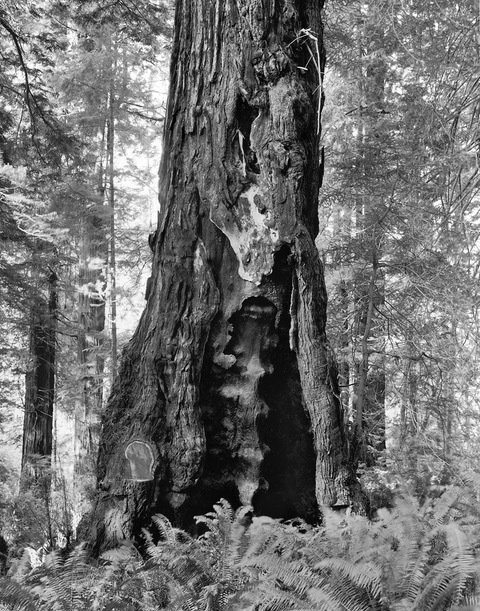 Brett Silver, a supervising park ranger, compared the act to hacking up a church, echoing Theodore Roosevelt’s words in 1890-that a grove of giant redwoods is like “a great or beautiful cathedral.” Wounded trees are more vulnerable to disease. Their ability to reproduce is endangered and the entire grove ecosystem is compromised. Decades may pass before the full extent of the damage can be assessed.